Grew up with BK Snakes Ostrava (Czech Republic) juniors. Moved to Slovenia for the 2007-08 season, signed by KD Slovan Ljubljana. Moved to Serbia for the 2008-09 season, signed by BC Partizan Belgrade. Played there till the 2010-11 championship. Signed for the 2011-12 season by Washington Wizards. Signed for the remainder of the season by Denver Nuggets. Moved to Turkey for the 2014-15 season, signed by Fenerbahce Istanbul. Named to the 2015-16 and 2017-18 All-EuroLeague First Team. Named the 2015-16 EuroLeague January MVP. Named the 2015-16 EuroLeague Top 16 Round 4 MVP. Named the 2017-18 EuroLeague Round 22 MVP. 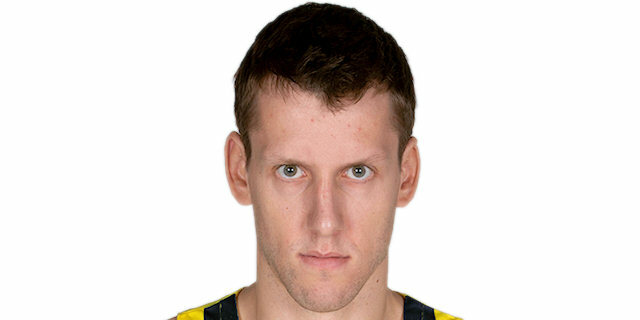 Nmed the 2018-19 EuroLeague Round 1 MVP. Won the 2008-09, 2009-10 and 2010-11 Serbian National Championship with BC Partizan Belgrade. Won the 2009, 2010 and 2011 Serbian National Cup with BC Partizan Belgrade. Won the 2009, 2010 and 2011 Adriatic League with BC Partizan Belgrade. Played the 2015 and 2016 Turkish All Star Game. Has been member of the Czech U-18 and U-16 Czech National Team. Played at the 2006 European U-16 Championship. Played at the 2007 and 2008 European U-18 Championship. Member of the Czech National Team. Played at the 2013 and 2015 European Championships. Led the 2013 European Championship in rebounding (11.2 rpg. ).